Steven Tötösy de Zepetnek's <http://docs.lib.purdue.edu/clcweblibrary/totosycv> areas of scholarship include (comparative) literature and cultural studies, comparative media and communication studies, postcolonial studies, migration and ethnic minority studies, film and literature, audience studies, European, US-American, and Canadian cultures and literatures, history, bibliography, new media and knowledge management, editing, print and new media publishing, and conflict management and diversity training. His single-authored books include Comparative Cultural Studies and the Future of the Humanities (forthcoming); Comparative Literature: Theory, Method, Application; and The Social Dimensions of Fiction. 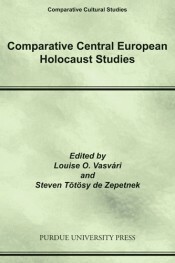 His edited volumes include New Work in the Study of World Literatures and in Comparative Literature and Comparative Cultural Studies (forthcoming); Companion to Comparative Literature, World Literatures, and Comparative Cultural studies; Digital Humanities and the Study of Intermediality in Comparative Cultural Studies; Comparative Hungarian Cultural Studies; Perspectives on Identity, Migration, and Displacement; Comparative Central European Holocaust Studies; Comparative Cultural Studies and Michael Ondaatje's Writing; and Imre Kertész and Holocaust Literature. He published about two hundred articles in peer-reviewed journals and his work has been translated to Chinese, French, German, Greek, Hungarian, Italian, Macedonian, Marathi, Polish, Portuguese, and Spanish. 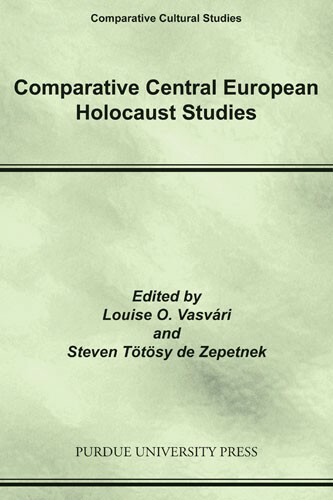 Tötösy de Zepetnek is series editor of the Purdue UP series of Books in Comparative Cultural Studies and editor of the Purdue UP journal CLCWeb: Comparative Literature and Culture <http://docs.lib.purdue.edu/clcweb>.